Are your kids fans of New York Times best-selling author Brandon Mull? 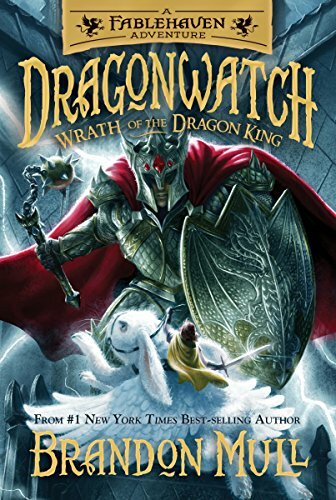 He is best known for his Fablehaven books and now has a new series, Dragonwatch, that is a spinoff of Fablehaven and features the same characters. Book 2 in the Dragonwatch series will be released October 23, 2018!! The dragon sanctuaries from Fablehaven are the focus of the Dragonwatch series. Readers find out when Book 2 opens that the Dragon King is on a ruthless mission to take control and is felling the sanctuaries one by one. Two young caretakers face the challenge of protecting their sanctuary and saving the world from a dragon take-over. The fate of humanity is in their hands!! This is a thrilling tale that will absolutely enthrall your fantasy book lover. I’m already looking forward to Book 3!